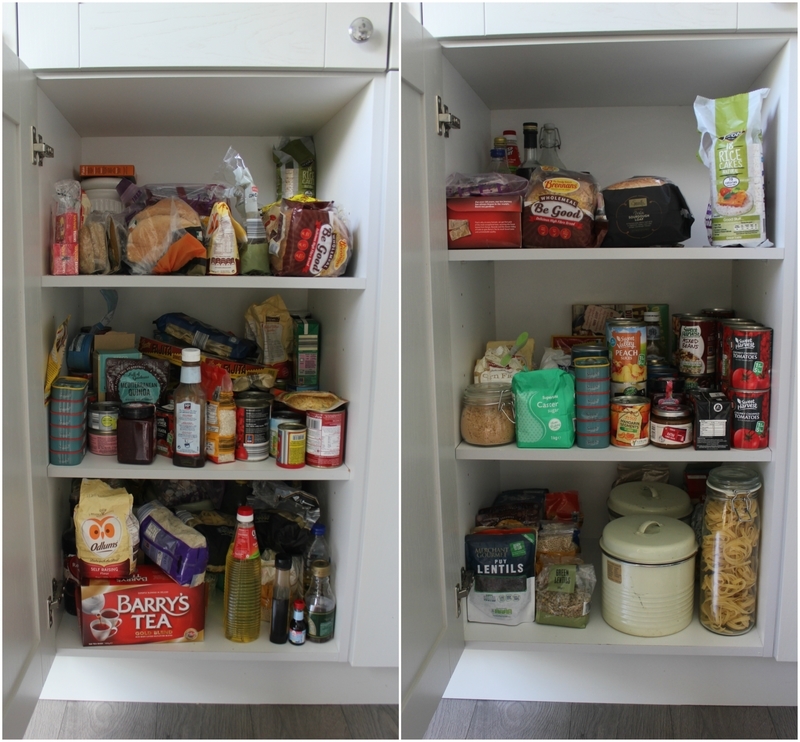 How to Re-Organise your Kitchen Pantry! It’s been a while since our last post! 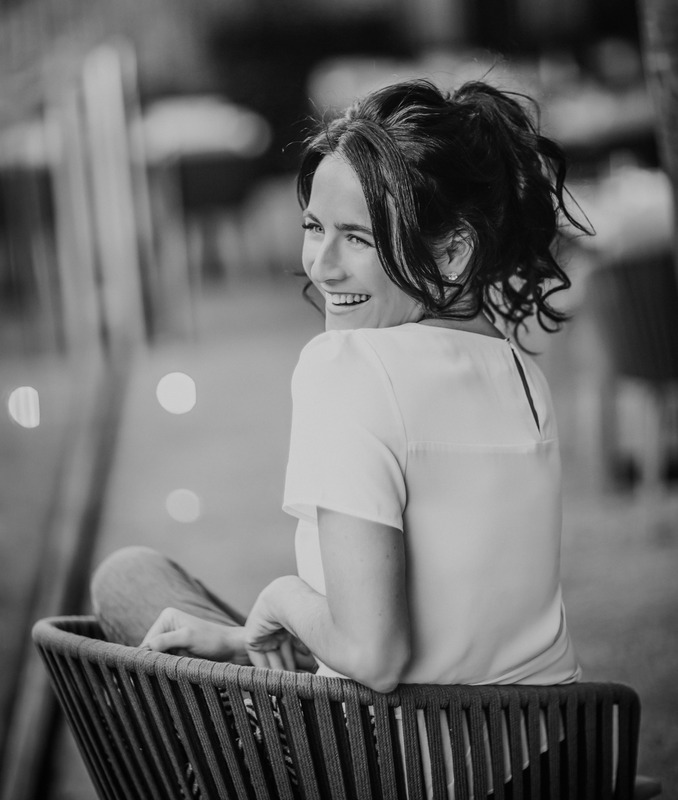 It’s been a busy few months and I’ve been working on a really exciting top-secret project that I can’t wait to share with you soon! 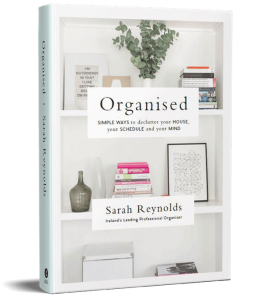 Remember, if you’d like to keep up with our news and get extra organising tips from myself, sign up to our monthly newsletter, The Cluttered Closet. Hannah is minding the blog fort for the next few weeks and will be sharing tips for kitchens in today’s post and wardrobes next week! Kitchens are the area of the home we are most frequently asked for help with. As it is somewhere that is consistently used by the whole family it’s a place that can get dis-organised very quickly! 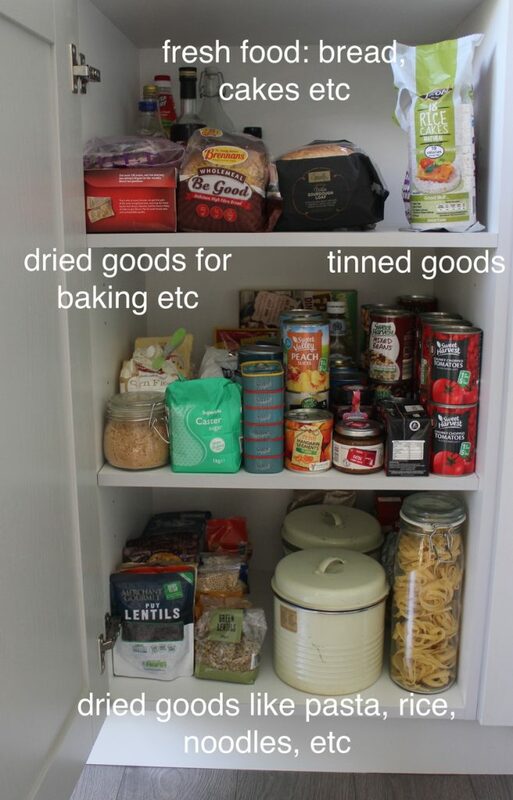 Today we are going to be sharing some tips on how to get your kitchen pantry organised without storage. Everyone always thinks storage is the answer, however, there is plenty of organisation to be done and great results to be hand without the cost of storage. Step One: Our first step is always to take everything out. In any area of the home we will always do this to start things off as it gives you a nice blank canvas to work with. 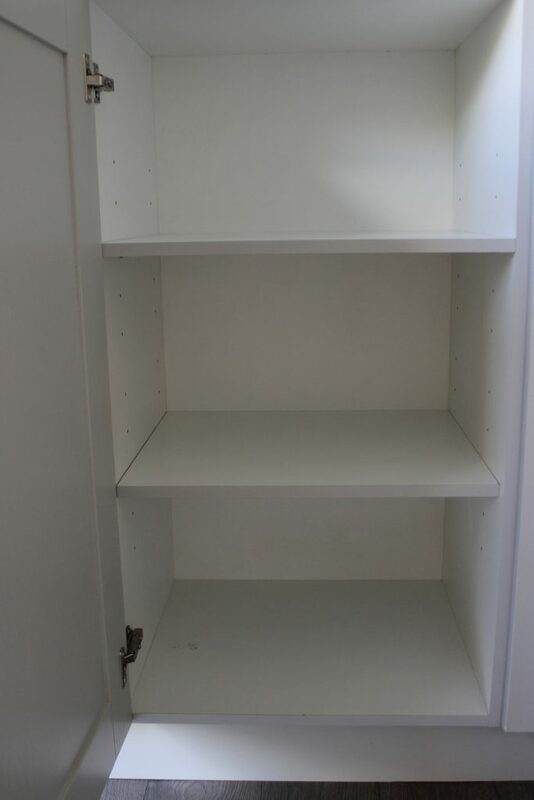 Step Two: Now those shelves are empty, when was was the last time they were properly cleaned? Hoover them out, (trust us there will be lots of things in here that have fallen out of packets etc) and give them a good wipe down. Step Three: Now you need to start looking at what you have removed. 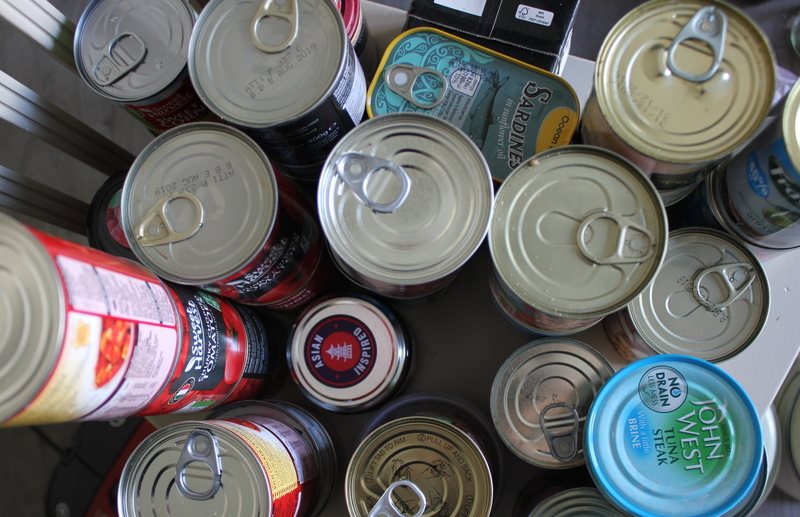 Check dates on all your tinned food (you’ll be amazed what’s been lurking at the back of your cupboards!) and throw away anything that is open or half used. Step Four: For things like pasta, rice, flour and sugar we would recommend storing these in ceramic tins or mason jars. Not only does it keep them fresher for longer, it also stops half open bags of rice and and flour from spilling all over your cupboards. You can buy these very in-expensively from Ikea, Sostrene Grene or any other good homeware stores. Make sure you label them so you know your self-raising from your plain flour and pop a bit of masking tape underneath where you can write the sell by date for future reference. Step Five: Now to put everything back in! There is no specific way to do this, whatever works for you and your family is best. 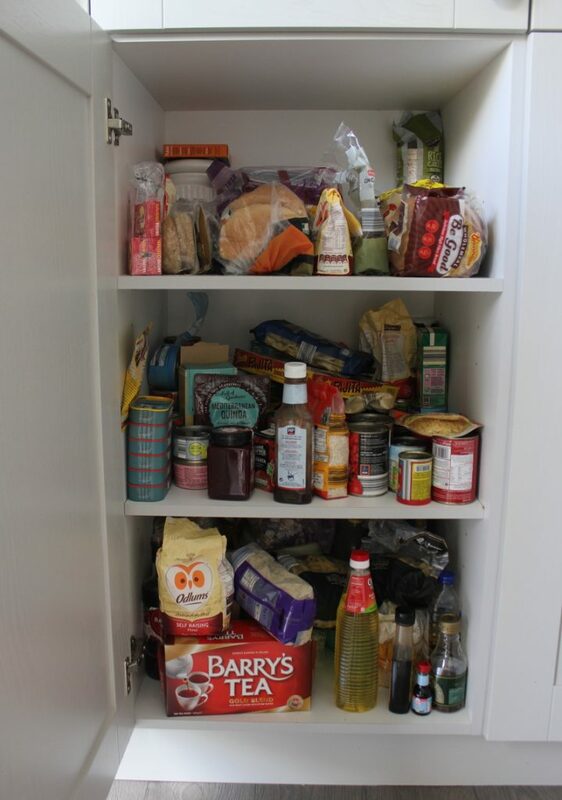 As this is a lower cabinet, we would however recommend putting things you use more frequently on the top shelf, such as fresh bread, rice cakes, tea bags etc. Then we put tinned goods and baking in the middle and the bulkier jars of pasta and rice at the bottom. Step Six: Now our final tip is to keep all the goods in the places you have given them. For example, always keep all the tinned tomatoes together on the shelf. This cuts back on food waste and your shopping bill if you can open your cupboard and see exactly how many you have. You would be amazed at how many people buy the same things every grocery shop only to find they have loads already in the cupboard at home. And here’s the lovely before and after! Join the organising conversation on our social media! Or send us your before and after when you’ve re-organised your cupboards either on Facebook, Twitter or tagging us on Instagram! Does your kitchen want to have its’ own before and after story? Call us on 0863601083 or email info@organisedchaos.ie . It’s the only step you’ll have to take on your own, we’ll organise everything else…literally!